People applying for jobs come in so many different facets in terms of what they offer in experience, skills, education, experience, and achievements that it is positively dazzling. One thing I have learned in the years I have been working with clients is EVERYONE offers an employer several valuable skills…but the difficulty lies (in the employers’ eyes) in finding the best fit for the position for which they are hiring. But there is a huge obstacle in the way. Job applicants have a long way to go in understanding how to write their career credentials. Some of this can be attributed to simple lack of training in developing critical career materials. But there is a bigger problem than that. The real issue is there are too many myths and conflicting arguments from the human resource side on how resumes should be developed. One HR professional provides feedback to a job seeker to revise their document only to have a different HR person tell the candidate that they like the first format better. Is it any wonder that job seekers are not only confused, but frustrated? What we need is a proactive effort to help provide trusted advice on how applicants can reliably prepare their credentials in a way employers can not only accept but also digest. I’d like to issue a radical challenge to the human resources sector (Attention: Society for Human Resource Management leadership): Come up with accepted resume formats HR folks can agree on that can be in turn be communicated to job seekers. Think about how much EASIER everyone’s job would be if we all knew the expectations for writing career credentials. Job seekers can have a go-to resource on how to prepare their materials. Career centers and one-stop job retraining centers can have up to date information on employer / HR expectations in developing resumes. 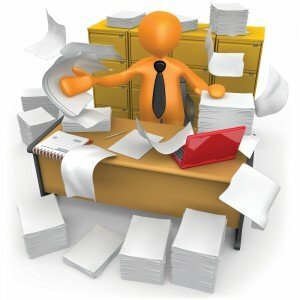 Human resource professionals have a much easier time going through resumes because the format has become standardized.